The ISA100 Wireless™ Compliance Institute (WCI) announced today that it recently conducted a successful interoperability event that featured more than 20 devices from 13 different suppliers. The April 2017 event was a part of a regular schedule of interoperability events. These events—important components of WCI’s technical program—provide ISA100 WCI member organizations an opportunity to validate the ISA100 Wireless brand promise of assured interoperability. 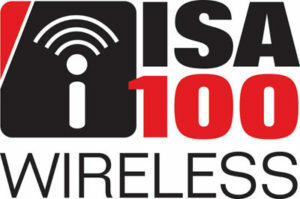 The interoperability event program, part of WCI’s quality assurance processes, ensures functional tests conducted within ISA100 Wireless certification testing provide proper coverage for the ISA100 Wireless Implementation Specification, and delivers real-world evidence that certified devices from any supplier will interoperate in any system supplier’s network. “These events provide ongoing validation of the ISA100 Wireless certifications, identify areas for new test coverage as new categories of devices are added to the ISA100 Wireless portfolio, and provide input for improving the usability of the ISA100 Wireless certification test platform,” says Jay Werb, WCI Technical Director. Obtain more information about the interoperability event and view event photos on this WCI web page. ISA100 Wireless (IEC 62734) is an international, industrial wireless networking and communications standard engineered to support the next generation of IIOT technology and includes support for the needs of process industries. With native IPv6 networking and object architecture, ISA100 Wireless extends the Industrial Internet of Things (IIOT) to wireless. End users can select ISA100 Wireless Compliant™ devices from a best-of-breed pool of suppliers with assurances of device interoperability. ISA100 Wireless enables automation engineers to quickly create, modify, optimize, and scale wireless networks that are open, interoperable, and reliable for their most critical applications.